Elevate your desk with the touch of a button, or one of three lift technologies to help fit every budget. Unlike some adjustable height desks, StandUp Standing Desks move your whole workspace vertically, allowing your multiple screens, keyboard, notes, tablet, phone, and full measure of desk paraphernalia to rise with you. You can even set your StandUp Standing Desk at stool height, for those health marathoners who prefer to stand for most of their shift. Contact us today! Desk tops are available in finishes ranging from Cherry and Espresso to Mahogany, Honey, Modern Walnut, Maple, and White. Choose from square and beveled edges in rectangular tops or our “pork chop”desktop with return top to create an “L”workstation. Ask about our complete Suite Solutions, including adjustable standing desks, hutches, storage, book and cabinet spaces. Accessories include LCD arms, Sit or Stand Mats, center drawers, CPU holders, and more! 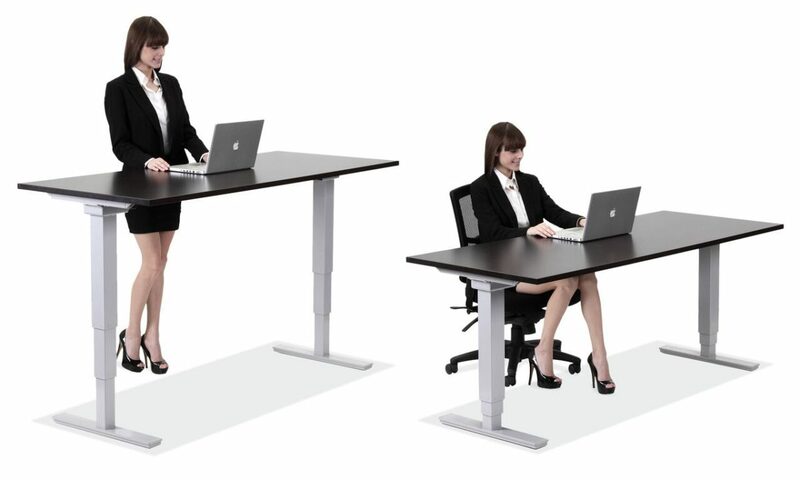 Call (704) 399-1948 to learn more about StandUp Desks! Want to see the many styles and designs?